Research is everything. Investing in bullion is a decision that you wouldn’t take lightly and should be backed by your own research. 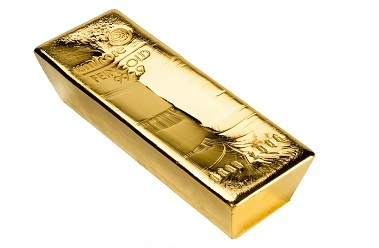 Much the same, when it comes to selecting your chosen gold bullion dealer, research is vital. The Internet is the best place to conduct your research. The Internet holds information about the impartial experiences, opinions and recommendations of millions of people all around the world. Where better to start than typing the company brand name into Google.co.uk. This will return a host of relevant search results. We would advise you look for anything you think looks suspicious and investigate further. Here at BullionByPost, we pride ourselves on doing business in a transparent and trustworthy manner and encourage our customers to research our company history and online reputation. It is encouraged to conduct online research as the Internet is the ultimate, unbiased resource of free speech and open opinions away from the influence of a company’s control. taking away the control element only publishing real customer reviews from real customers. and believe customer service is the cornerstone of all successful businesses. We have received over 19,000+ independent customer reviews with an average score of 4.9/5. Word of mouth is another effective research route. Personal recommendations from family members, friends, colleagues or fellow bullion investors could also prove to be effective in instilling that much needed confidence in a company to place an order. When buying bullion it is crucial your parcel is fully insured. 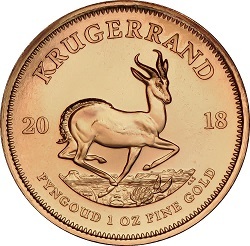 If this is not clearly communicated by the bullion dealer, then you have reason to believe that this is indeed not the case. Here at BullionByPost we provide free fully insured delivery on all bullion orders of any value. We are insured up to £50,000 per parcel with Lloyds of London and never dispatch a parcel of any higher value in one go. Larger orders in excess of £50,000 are part dispatched with the second parcel not being dispatched until you have had receipt of the first. Please note all bullion parcels are discreetly packaged for security purposes. Watch out for hidden costs. Many bullion dealers fail to disclose hidden costs from the prices they quote both online and via the telephone. Extra fees are often charged for the actual receipt of the physical gold and silver bars and coins, postage costs, insurance costs, handling costs and more. Here at BullionByPost, we aim to make the process of buying gold simple, transparent and straightforward, as the prices we quote online and via the telephone include free fully insured delivery. In addition, all our parcels will be dispatched the same day the funds are cleared for extra peace of mind. Another useful exercise to conduct is to use Google.co.uk to search for commonly associated search terms such as gold bars and gold coins. top 3 results of a search, it adds credibility that this bullion dealer’s website is credible and well visited by customers. guide and we encourage customers to be guided by their own research and intuition.